The Galapagos Islands belong to the country of Ecuador and are located 563 miles or over 2 hours by flight off the Ecuador coast in the Pacific Ocean. Charles Darwin made the islands famous in the 1830s when he traveled their on his famed voyage. Today the Galapagos are a popular place for cruise ships and tourists from around the world. For Ecuadorians, the Galapagos Islands are a source of pride and a place that people dream to visit. After living in the Ecuador Amazon for several years, our family had the opportunity to go to the Galapagos on vacation. Here are some practical ways that we made our vacation great. 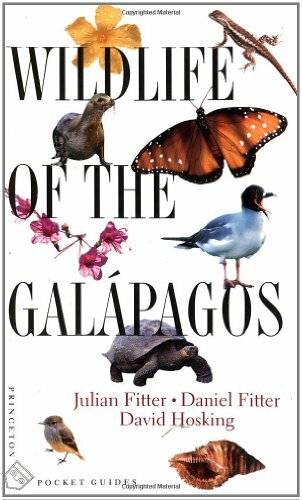 We began researching a vacation to the Galapagos when our two boys were four and six years old. As we looked at the packages available and our budget, we began to realize that there were smart and not so smart ways to navigate the Galapagos with children. We saw that the two main options were to stay on the island of Santa Cruz and do day tours on this island and to others close by, or to stay on a small cruise boat in order to see a large number of islands. Some of the websites recommended these cruise tours for children age eight and up. We chose to stay on Santa Cruz due to the ages of our children. We also looked at packaged tours that were available. They had very laid out schedules that we did not think would work with the age of our children. We began to see that there were advantages of choosing our own activities and pace. After looking at the options, we decided to stay in the town of Puerta Ayora on Santa Cruz Island where we had read about ample options for meals and activities that would interest small boys. On Santa Cruz, there are a lot of options for lodging from the expensive resort to charming bed and breakfasts. We decided renting a vacation rental would give us flexibility to make our own schedule and not need to meet programmed hotel or bed and breakfast hours for meals. We found a vacation rental through the internet that was ideal for us; a two bedroom apartment with a small kitchen and access to a washer and drier. The owners also lived on site and were available to give us any advice that we needed. This fit our family needs perfectly. We found a half day tour around the island of Santa Cruz via boat on the internet for a decent price and booked it for the day that we arrived. It was a TERRIFIC tour, involving time in the boat and some hikes. We became more acquainted with the edge of the island where we were staying and saw some salt flats, Los Grietos, which is a beautiful fresh water ravine, beautiful views of the bay where Puerta Ayora sits. We were also given the option to snorkel and had been given wet suits with the tour, but we decided to watch after we saw how choppy the water was. After the tour, we discovered there were a whole bunch of tour operators on the edge of the beach who would negotiate day and two day tours from small businesses. We looked through their options and decided to book another day tour during our time on the island. We got a map of Puerta Ayora and took our time enjoying the Charles Darwin center, which gives a great self-guided tour to see giant turtles, the turtle breeding program and some very rare iguanas. We felt sorry for the tour group that was there hurrying their way through. After we finished, it was hot and we took an impromptu trip to the beach for a swim!! We enjoyed visiting the small shops in town and investigating different kinds of restaurants at our own pace. The best part was that we did not have the stress of being on a tour, but could go at the pace of our boys. We visited Tortuga Bay another day and a calmer bay just beyond it. It was about a half an hour walk from the edge of town and the boys LOVED being able to swim with no hurry needed. We took lots of pictures and enjoyed being together. We saw another group eating at a restaurant who was hurrying back to their cruise ship and felt sorry for them. Isn’t slowing down and enjoying each other what vacation is for? We have plans to go back to the Galapagos someday. We would like to visit the Island of Isabela, which is a half a day boat ride from Santa Cruz and involves spending at least one night. On Isabela, there is an extinct volcano and horses can be ridden to the crater. There is also a colony of penguins that live near Isabela. We did not go inland much on the island of Santa Cruz and there is much to see in the lush highlands that we passed to and from the airport. Since the water was a little choppy and we did not feel comfortable snorkeling, perhaps we would visit in the drier season of January to April instead of October. We did not have a good guidebook with us and had to rely upon our physical guides for information. I recommend getting a good wildlife guide. The animals and birds that we saw were terrific and it would have been great to be able to read more about them with our boys. Planning a vacation with small children can be stressful. I hope that these tips will help you to plan a stress-free vacation to the Galapagos Islands. From my experience, vacations with young children definitely take some extra planning and can be quite hard work but can also be extremely rewarding. Kudos to you for giving your children these wonderful experiences. Thank you for your comment and I am glad you enjoyed reading about our experience!